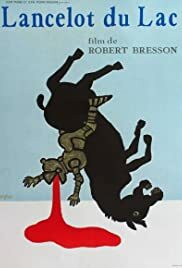 Robert Bresson utilized a minimalist style in film, one that if anything brought more emphasis to the subtexts of his works. In this wonderful film, his focus is on the end of Camelot, and the death that accompanies it. The film itself it indescribable, relying almost completely on its style to convey its message. That said, I think it's a must see. Especially for fans of French cinema and the Arthurian legend.